I actually missed my little casa in Alaska. There is just something about the smell of this place. It’s the smell of peace floating in the air. Or, maybe it’s the lack of pollution in the air….. I’m not sure. One thing for sure, I could feel myself relax as we got closer to home (between take off’s and landings that is) and as I started to smell the fresh air I felt like it was easier to breath. I have been taking clariton every day since I left. This morning was the first time all week that I haven’t woken up with scratchy, puffed up eyes. I will miss the sun and the palms but I couldn’t leave Alaska for long without wanting to go home. I sat on my couch this morning with my coffee and watched the sun come up and realized how much I missed my own personal snow globe. Only my snow globe has the snow on the outside and a warm cozy couch on the inside. 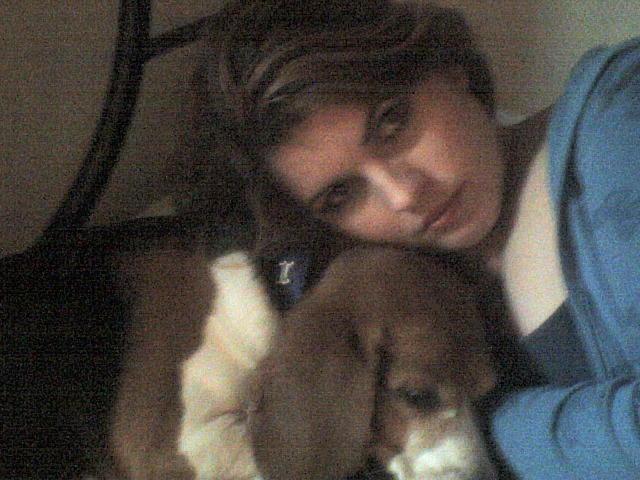 Oh, and a footwarmer (beagle) named Blue.